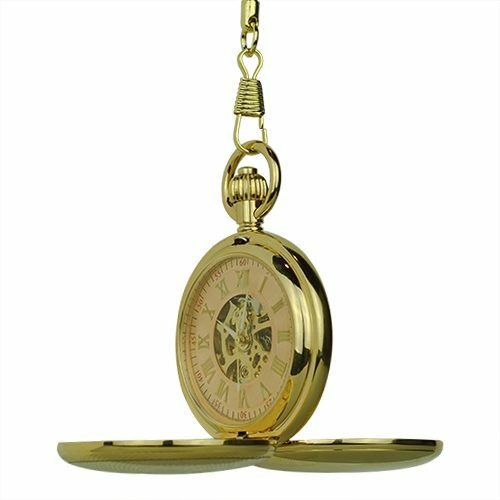 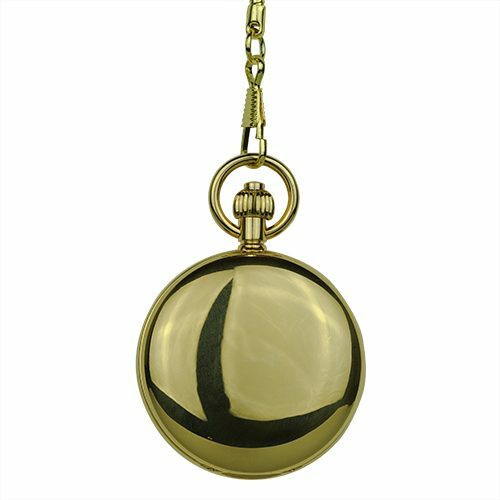 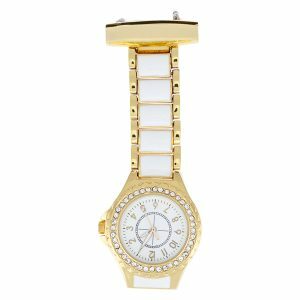 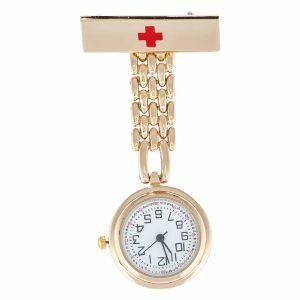 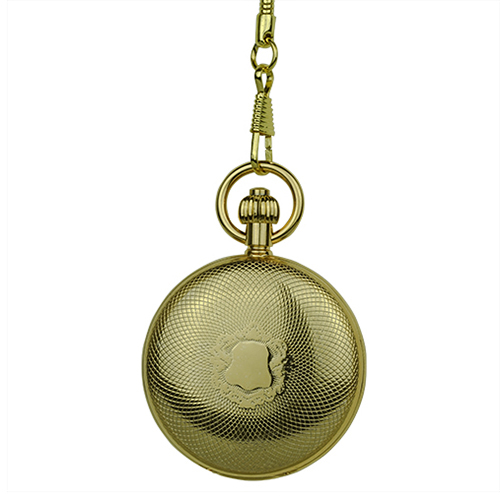 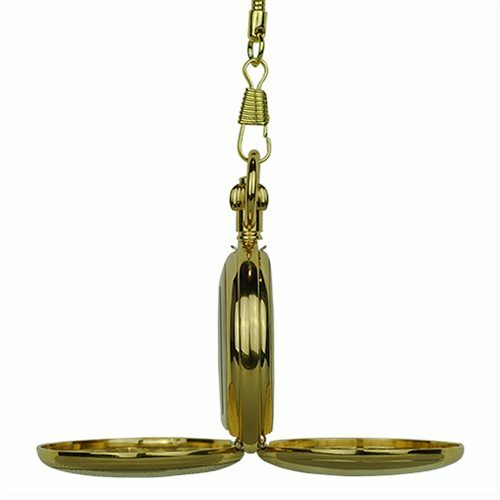 Polished Gold Tone Double Hunter Fob Watch - Fob & Co. 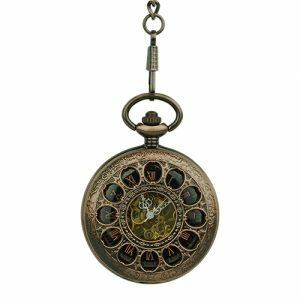 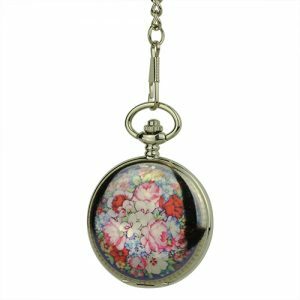 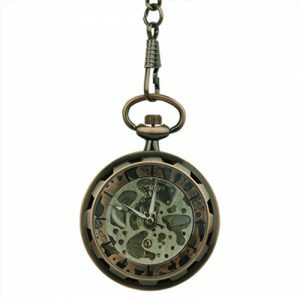 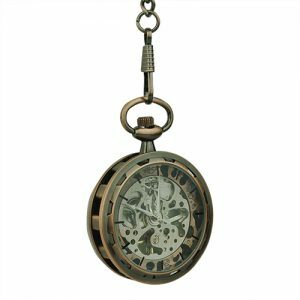 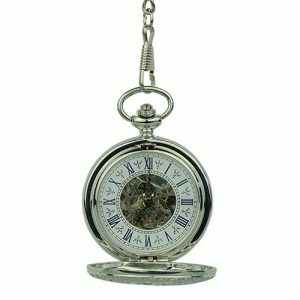 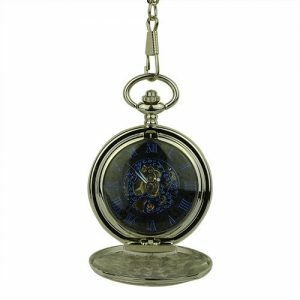 Step back in time with a Victorian themed timepiece embossed with a Victorian pattern surrounded with overlapping spheres. 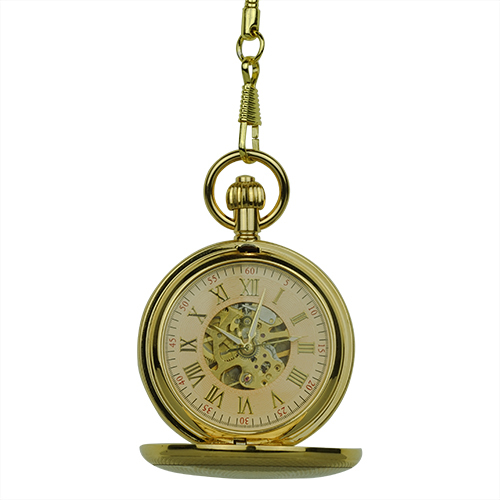 The inside reveals gold Roman numerals upon a white background all of which is is highlighted by a matching, golden skeleton.